same colonist. 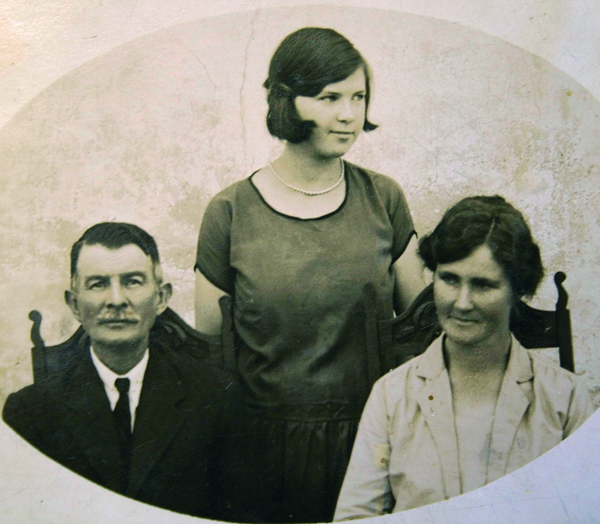 Many well-known Cape farmers like the Appels, Brands, Cloetes, van der Byls, van Bredas, van Reenens and others, had loan places in the Overberg – over the “mountains of Africa”, the Hottentots Holland Mountains. to be surveyed – which proved to be a major obstacle as the few available surveyors could not cope with the flood of applications. Sometimes it took years to have the property registered in the occupant’s name. Records of many of these early farmers and their lives are scant, but what can be gleaned from existing documents and travel journals is quite interesting. In December 1792 Mattheus Willemse of the loan place “de klyne riviers klooff, aan de bosrivier geleegen” (the vicinity of the present Akkedisberg Pass) complained to the Council of Policy about the damage caused by heavy rains during July 1791. All the rivers in the area flooded their banks. Not only did his house and outbuildings cave in, but his gardens and cultivated fields were completely washed away. The strong current also carried away a young male slave, 675 sheep, 100 muids of wheat, 80 muids of barley and 14 muids of oats, as well as three wagons, all his ploughs, building equipment and furniture. The family was reduced to abject poverty. Auctions of livestock are still held on farms but these days are organized by a farmers co-op. There is still much eating and drinking going on! The Stanford area was part of the district of Stellenbosch until 1745; from 1745 until 1810 part of the district of Swellendam and from 1811 of the newly established district of Caledon. 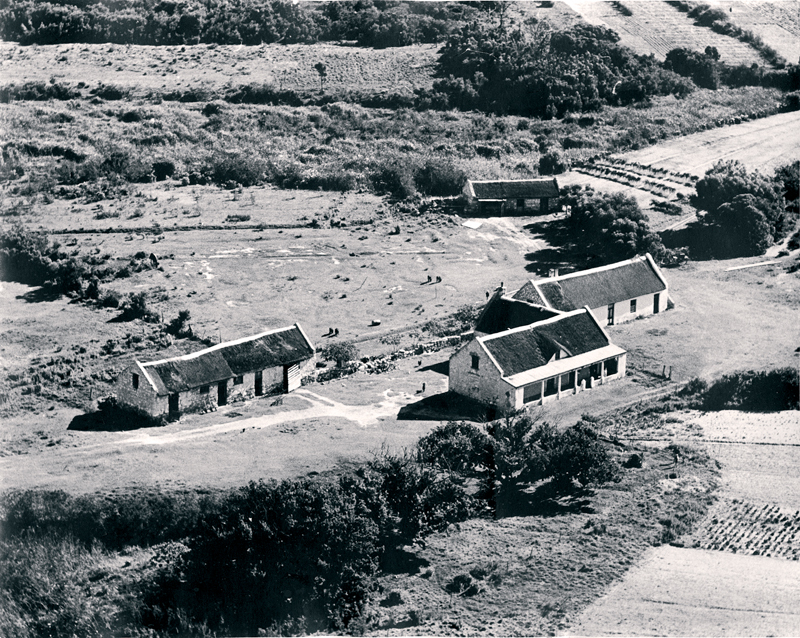 After 1815 “the arrival of an educated body of farmers with money in their pockets created the first opportunity to raise agriculture above the subsistence level in the Overberg,” states Edmund Burrows in his book Overberg Odyssey. 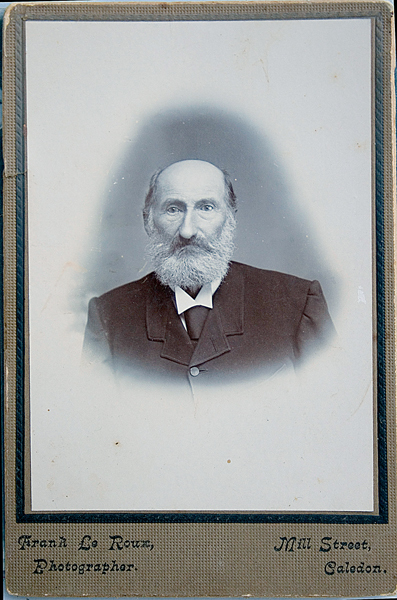 John Metcalf, whose descendants still live in the area, took possession of the farm Goedvertrouwen (1 214 hectares) which he bought for £500, on his birthday, 2 January 1842. The farm was “very well situated for breeding horses, pretty well for sheep and very proper for rearing cattle, or wheat,” writes his cousin. In a letter to his father, David, Metcalf said that there was a single-storey house “with 5 rooms in length, and 7 large oak trees in front. A high road passes within 150 yards in front of the house to Uilenkraal. There is… a large garden though out of order, plenty of fruit trees – quinces, oranges, lemons, grapes, pears and peaches”. He later bought 20 milk cows, 7 horses and pigs as “the price of butter in Cape Town is from 1/- to 2/6, average price year through say 1/6; of Bacon 10d per lb. A neighbour of mine, Captain Stanford, at Paarlby’s farm [he was referring to Kleinriviersvallei which was shown thus on Aaron Arrowsmith’s map of 1834] sends great quantities to town. That is what he gets for it by auction in Cape Town.” He also bought 50 fine-wooled (Merino) sheep at an auction at Zoetendalsvallei of the van Bredas. With these he intended “to go gently on for a while until we see how they thrive”. 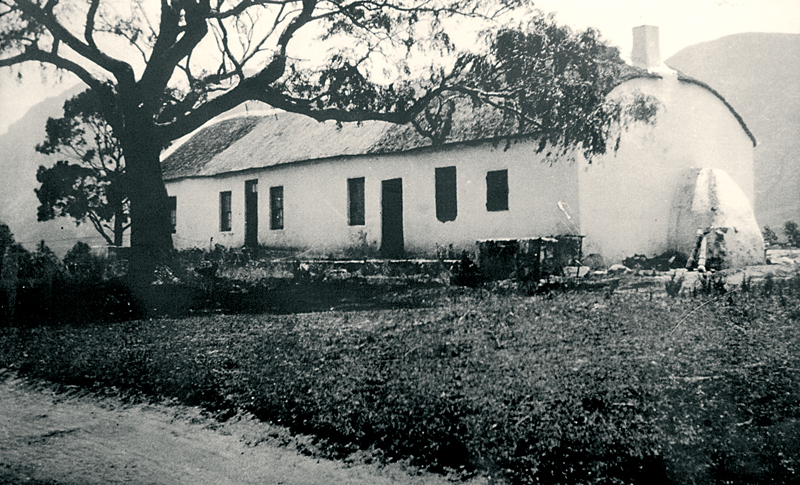 According to the Cape Colonial Gazette of 1850 the farms that today constitute the Stanford area were still large and mainly undivided. They then fell under the district of Caledon, field-cornetcy of Uilenkraal. 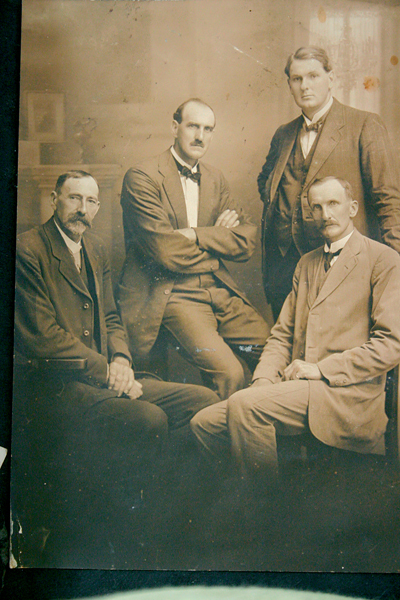 These farms and owners were: Baviaansfontein (Jacobus Petrus Roux); De Hel (Michiel Johannes Louw); Goedvertrouw (widow of John Metcalf ); Helderfontein (Matthys Christiaan Franken and Paul Johannes Louw); Kleinrivier (Robert Stanford); Kleinrivierskloof (Daniel Francois Barnard, Michiel Daniel Otto, Johannes Arnoldus Schoonwinkel, Petrus Johannes Smal and the widow of Johannes Hendrikus Smal); Middelberg (Robert Stanford); Modderrivier (Isak Stephanus de Villiers, Jacob Daniel de Villiers, Pieter de Villiers and Philip Coenraad Fourie); Papiesvlei (Coenraad Johannes Groenewald); Paardenberg or Perdeberg (Jan Jeremias de Villiers and Jacobus van Dyk); Platrug (Michiel Johannes Louw); Silwermynbos (Robert Stanford); Sondagskloof (Johannes Hendrik Henn and Petrus Albertus Radyn); Springfontein (Robert Stanford); Woest Arabie (Robert Stanford); Wortelgat (Jurie Johannes Erwee). But, as Teenstra predicted, farms were soon subdivided and needed more intensive farming. Many farmers could not make a living anymore and moved to the newly-established village of Stanford where they became plot farmers; others went in search of greener pastures elsewhere and many left farming altogether. 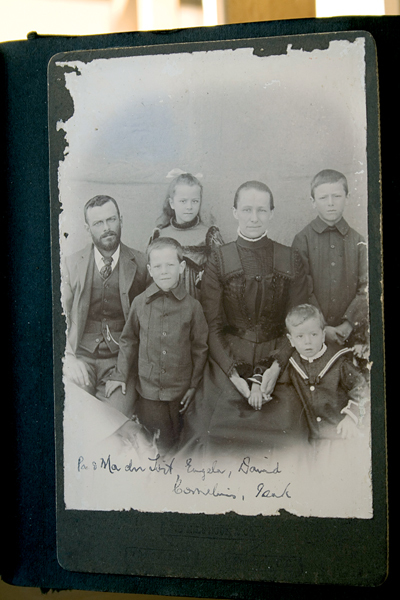 Although descendants of many of these families still live in and around Stanford, it is only the de Villiers’ of Modderrivier and Paardenberg, the Lötters of Vredenburg, van Dyks of Hartebeeskloof and Papiesvlei, and Fouries of Uitkoms that still own large portions of their family farms.